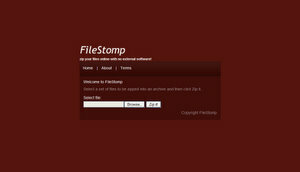 FileStomp is an easy and useful online service to zip and share a collection of files. Using the service is straight forward, simply start selecting files from your computer, and once done hit the "Zip it!" button. You can either download the generated zip file or share it with your friends by simply sending them the provided link.